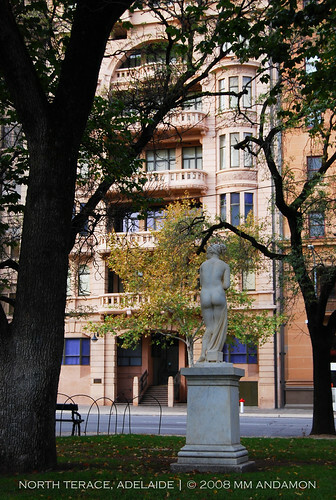 One my favourite building facades along North Terrace in Adelaide is the Liberal Club Building (175-177 North Terrace). 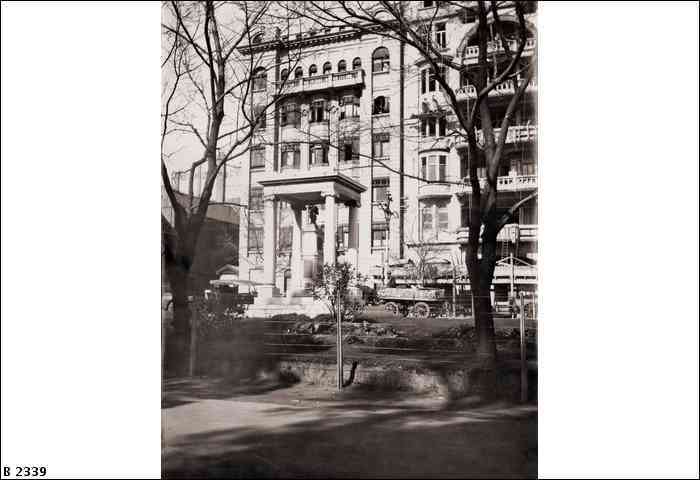 Completed in 1924-1925, the building was designed by Frank H. Counsell. Images above are from the archives of the State Library of South Australia and the National Library of Australia. 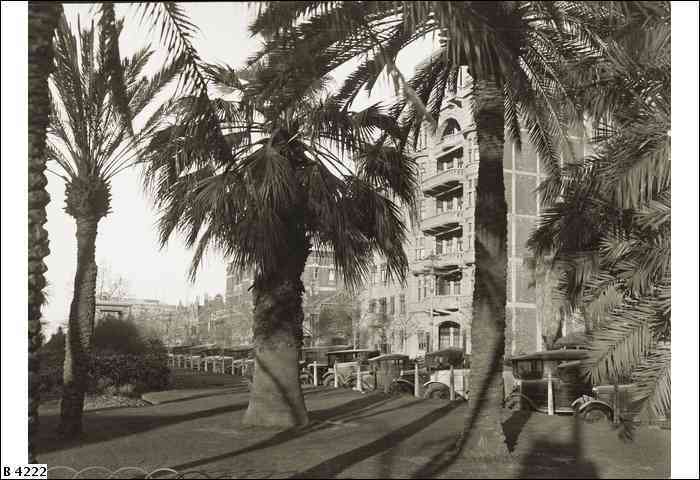 The opening of the club rooms was in featured in The Register, Adelaide, 21 May 1926 and reported the 'handsome' interior furnishings in detail. The demand for light and air were met by the architect who designed the building to have six light areas and glazed partition walls. The architect also ensured equable temperatures in the building by means of cavity walls and a 'super' roof that consisted of a concrete ceiling over the top storey. 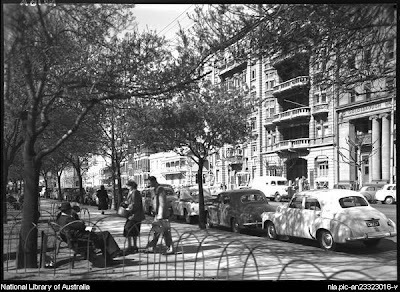 The building was popular with the medical and dental professions, as patients could rest on the large balconies after light operations. Architecturally the building is dominated by deep balconies between prominently detailed bow windows. The façade is robustly handled with great use made of the interplay of light and shade. The large public hall features a dance floor on the main floor. The façade is vertically terminated by a great arch above the tiered balconies on the top floor. 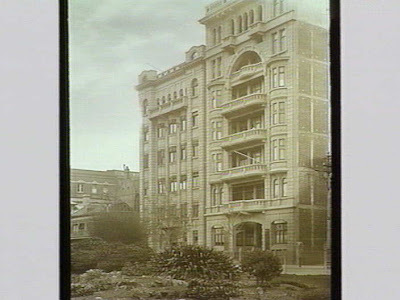 In 1989, much of the Liberal Club Building was demolished leaving only its facade. 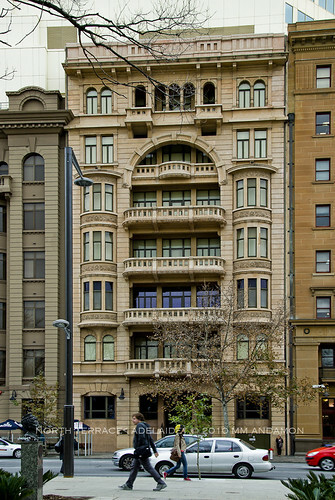 Today, the building's facade is part of Myer Centre along with three adjacent heritage listed buildings. The majestic architectural facades of the Liberal Club Building along with those of Verco Building (1911-1915, 178-179 North Terrace), Goldsbrough House (1935, 172 North Terrace) and Shell House (1931-1932, 169-171 North Terrace) are significant streetscape elements on North Terrace.